Our firm offers professional tax preparation of all federal, state, and local tax returns for Chapel Hill, NC and Durham, NC, at competitive, affordable rates. We continuously monitor federal, state, and local tax law changes to allow its clients to minimize current and future tax liabilities. If necessary, we can implement tailor-made due-date tax compliance monitoring systems to prevent costly interest and penalty assessments attributable to late filing. We specialize in quick and painless tax preparation services, and will ensure you receive all the deductions you are entitled to. We are always available to help you with your tax planning needs to help you lower your taxes and avoid surprises during the tax season. And in order to speed your refund, we can file your return electronically to the IRS and state tax boards. What is Tax Representation and How Can Our Business Accountant Help You? 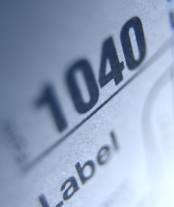 Gundersdorff & Co. offers tax representation to all of our clients. During an internal revenue Service or income tax audit, you want an experienced tax representative on your side. Our tax representatives will stand on behalf of you during this time period. Every taxpayer is allowed to have an authorized tax representative. In your case, we'll provide the most sensible strategies to defend your case. We will present and prepare all necessary tax documents to ensure success. You don't have to navigate the IRS on your own. Work with Gundersdorff & Co. today! Our tax representatives serve the Durham, NC and Chapel Hill, NC areas with the finest business accountant and tax representation and preparation services.